At the end of 2017, Isabel dos Santos, Africa’s richest woman and the oldest daughter of Angola’s former president, was essentially the most powerful woman in Africa after being the only African on Forbes 100 Most Powerful Women in the world. For the second consecutive year, only one woman from Africa has made the 2018 Forbes list of 100 Most Powerful Women in the world. 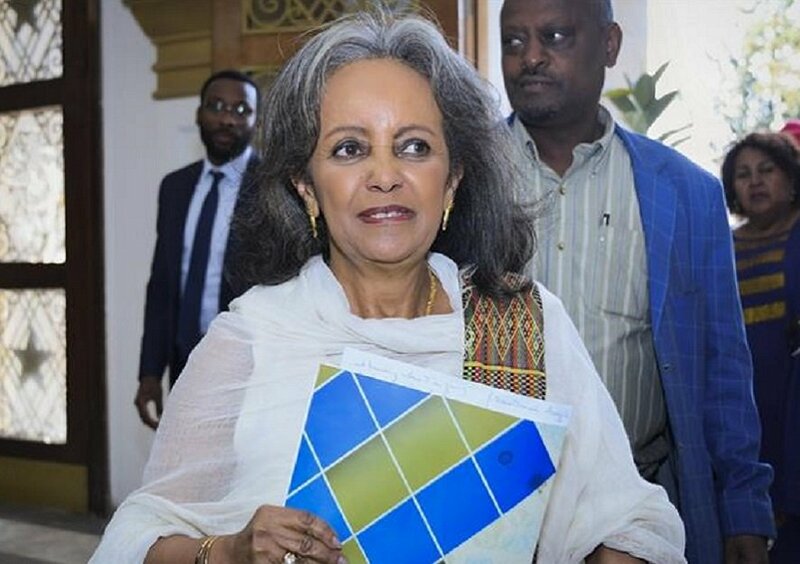 Ethiopian president, Sahle-Work Zewde ranked 97th on the list that was topped by German Chancellor, Angela Merkel and was followed by the British Prime Minister, Theresa May, in the second position. Africa had its fourth and only female president this year when lawmakers in Ethiopia elected Zewde to be the country’s first female president following the resignation of President Mulatu Teshome. Zewde has served for a long time in the world of diplomacy representing Ethiopia in many African countries. Being the second woman to hold an Ambassadorial position in the history of Ethiopia, the experienced diplomat served in French-speaking African countries like Guinea-Bissau, Gambia, Senegal, Mali, Cape Verde, Guinea and Djibouti, as well as, France. In 2011, former United Nations Secretary-General, Ban Ki-moon, appointed her as Director General of the UN office in Nairobi (UNON), which was then a newly created position. Until recently, she served as UN representative to the African Union whose headquarter is in Addis Ababa. Zewde’s historic appointment came on the back of political reforms and a reshuffle that allowed greater female representation in governance. At the time of her appointment, she was hailed by many people across the world who now look on as she directs the business of the government while she represents a perfect gender-balance story in Africa. “Traditionally a ceremonial role, Zewde’s appointment is a tremendously symbolic move for the conservative country, opening the door for gender parity,” according to Forbes. The seasoned diplomat is among the few black women who made the cut on the 2018 list of most powerful women. Others included media mogul, Oprah Winfrey (20th position), musician and entertainer, Beyonce (50th) and world champion tennis player Serena Williams (79). “This year’s listees are building billion-dollar brands, calling the shots in the financial markets, crisscrossing the globe to broker international agreements, and providing aid to those in need,” the magazine added. Aside Markel and May, other individuals who made it to the top 10 included International Monetary Fund Managing Director, Christine Lagarde; General Motors CEO, Marry Barry; Fidelity Investments CEO, Abigail Johnson; and Co-Chair Bill and Melinda Gates Foundation, Melinda Gates. Zewde being the only African woman – as seen in 2017 – among just a few black women on the list has raised concerns about the fairness of the ranking and whether African women are being sidelined. Per the criteria of Forbes, the continent has not produced any other formidable woman like Zewde this year who deserves a mention.